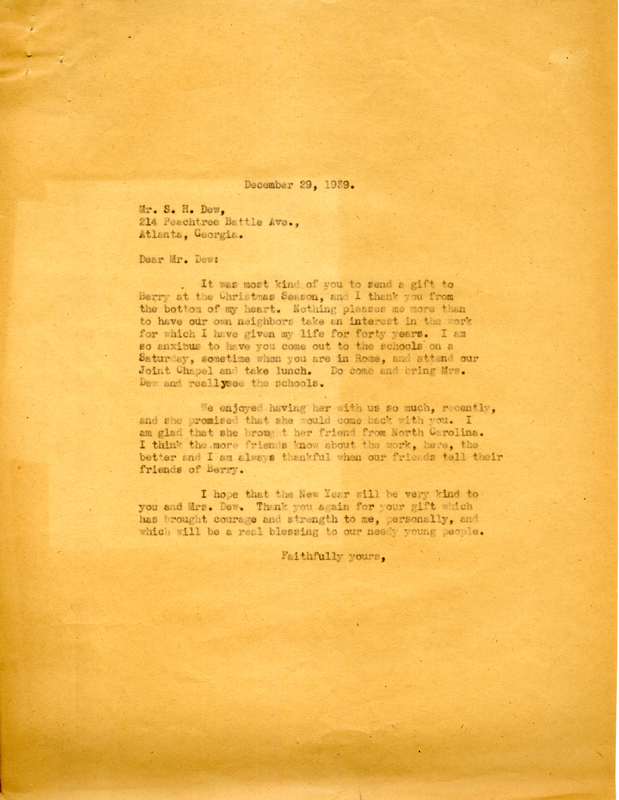 A letter thanking Mr. Dew for his Christmas gift and expressing Martha Berry's excitement to see him and Mrs. Dew on a visit to the schools in the future. Martha Berry, “Letter to Mr. S. H. Dew From Martha Berry.” Martha Berry Digital Archive. Eds. Schlitz, Stephanie A., Savannah Harris, Jessica Hornbuckle, et al. Mount Berry: Berry College, 2016. accessed April 24, 2019, https://mbda.berry.edu/items/show/14838.